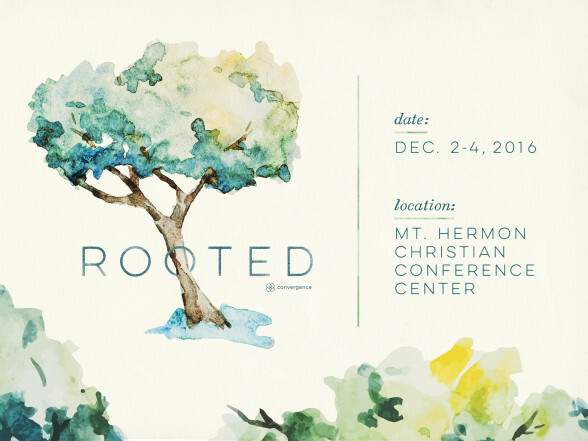 In the first weekend of December our church spent the weekend at Mount Hermon in hopes to get away from the busyness of everyday life and to spend some concentrated and restful time before God and with one another. We are incredibly thankful for all of the individuals who met months in advance to plan this event for us. These volunteers met regularly and worked hard in different areas including: identifying retreat location, lodging, finding our wonderful retreat speaker, leading worship sessions, taking pictures, designing print materials, preparing drinks and snacks, transporting and setting up equipment for our children and adult services, and creating the awesome Rooted swag. The list goes on! Becca Hu led the entire process and she has been receiving wonderful stories and testimonies from the retreat attendees. We are grateful for the ways God blessed us during our weekend together. If you would like to share your experiences from the retreat or would also like to share some thanks and encouragement to the retreat volunteers, you can send those to Becca directly and she’ll make sure the team gets it. Go ahead and send it to her email at rebeccacrafthu@gmail.com.